Large country house 6 rooms. 1 hectare garden, olive fields, shady corners. 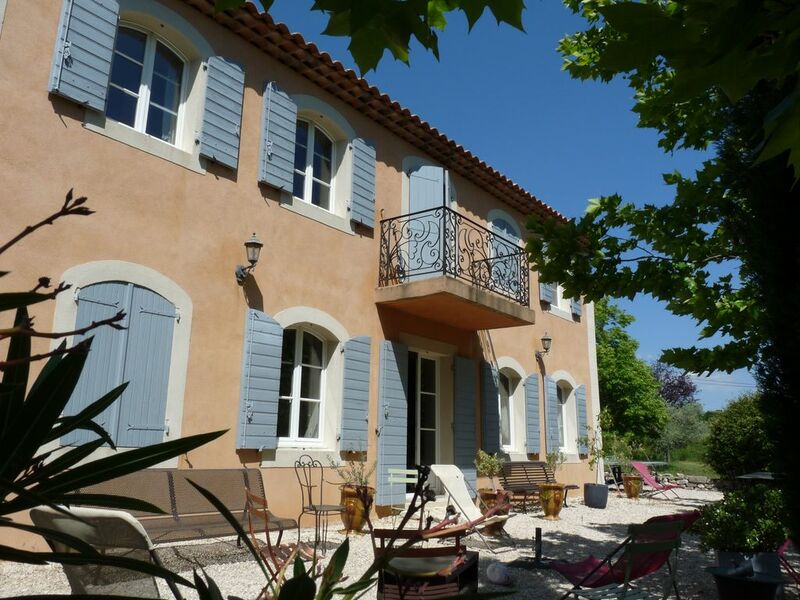 Bastide comfort: 6 bedrooms, 3 bathrooms, large living room, kitchen, outdoor BBQ, arbor, fountain, plane trees providing shade. Great 12,5mx5,5m pool. Corner flower pool, landscaped and fenced with secure gate. Overlooking vineyards and mountain Sainte Victoire. Miles of trails ballads from home. Canal de Provence at 100 meters. Nearby: Lyric Art Festival in Aix. - Possibility to 10 people. - RENTAL ONLY DURING THE SUMMER.